When it comes to repairing commercial gas lines and installation services, Diamondback Plumbing is a well trusted name. We’re a licensed and insured company in Scottsdale, Arizona. Our team consists of certified plumbing professionals that specialize in commercial gas line repair, gas line installation and inspections. Any work being performed for gas lines needs to be done by a licensed plumber that is certified in gas lines. Commercial gas lines should be inspected on a regular basis. This keeps them to continue functioning efficiently. Our skilled experts will meticulously check your gas lines for leaks and fix them to make sure that they’re safe to use. Some of your equipment that relies on gas is malfunctioning. Your gas bill is higher than your usual bill. You hear hissing or whistling sounds coming from your gas line. If there are plants around your commercial area that are starting to die, there might be an underground gas leak. An unusual mist or fog around your commercial area may be visible. You or your employees are experiencing nausea, headaches, fatigue, or difficulty breathing. This are some symptoms that you have inhaled gas from a leak. Gas leaks should be dealt with immediately, but they’re not something you should handle by yourself. Even slow leaks can cause great danger for your business. Call Diamondback Plumbing for emergency assistance if you notice something wrong with your gas lines. Natural gases doesn’t smell, but fuel will leak with a sulfur-like smell, and it is designed that way so you can tell if there is a leak. If you smell this foul odor, there might be a gas line leak. Gas leaks are hazardous for you and your staff. They can also be dangerous to your whole business as well. If gas leaks continue to be unresolved for a long time, your commercial equipment’s service life will be reduced greatly. Our team of professionals can help you repair damaged pipes to stop leakages. This should only be done by trained and licensed experts to avoid any further damage. 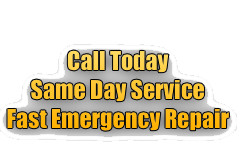 You can call us anytime and we will visit your business to assess your gas lines for possible leaks or damaged components. Diamondback Plumbing uses only the latest equipment for gas leak detection. We can find even the tiniest leaks in your gas lines. Our high-end, top quality tools are equipped with features for quick gas detection. 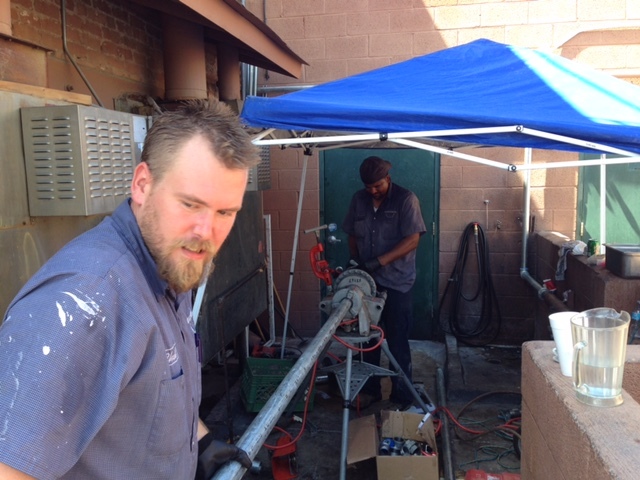 Many of Scottsdale’s businesses and homeowners prefer our expert team when installing gas lines. Our team can quickly and safely install any kind of gas line needed. We can install gas pipes for kitchens, furnaces, hot water tanks, and more. Be assured that you will receive attentive, friendly, and quality service from our team. Our well-trained technicians will treat your property and time with the greatest respect. We will make sure that your gas lines and fixtures are installed properly. We are also well-updated and will comply with the building codes provided within your area. When your commercial gas lines are heavily damaged, replacing them is the best option and we can help you with that. All of our team members are trained to deliver job requests with top quality standards in the industry. We are truly committed to provide our customers with superior work and great customer satisfaction. We serve our customers with a personal touch. Diamondback Plumbing offers same-day gas line services. We can solve various issues like clogged drains and leaking pipes with our prompt, quality plumbing services. Our pricing is fair and affordable since we base it on per job basis, and we will give you an estimate with the number of hours and amount of materials needed to complete the task. Contact us today for inspection, repair, or installation services of your commercial gas lines.